The Wireless Joystick v1.1 for Arduino is the first gamepad based on Arduino from DFRobot. It supports Xbee, Bluetooth, RF and Wifi via the Xbee socket. Makes it possible to customize your own wireless communication for controlling your robots, mobile platforms, UAVs or anything else you want to control. 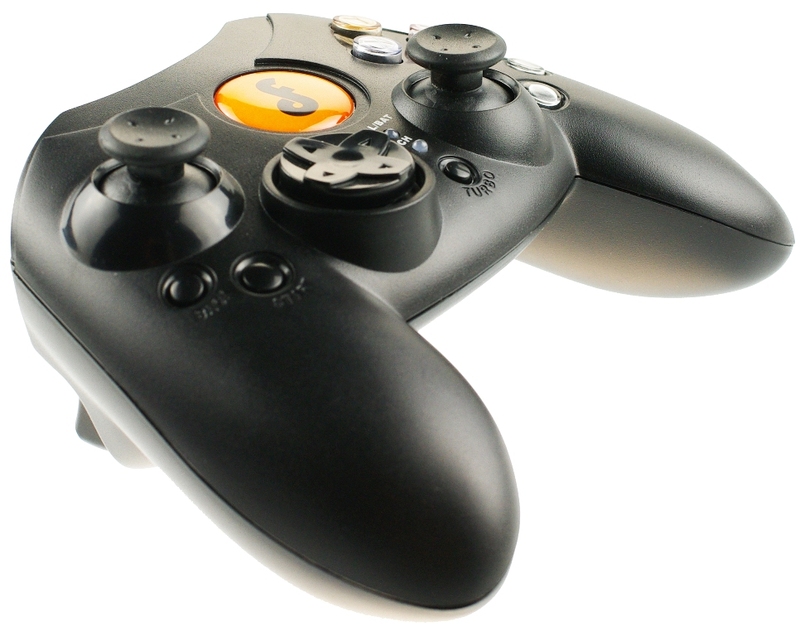 This gamepad supplies two analog sticks, two analog buttons and 14 programmable buttons, this controller has an Xbox 360 style button layout, which allows you to completely customize your controlling experience. It runs on three "AAA" Batteries or a DC power supply. You can program it via the FTDI interface directly. Program the gamepad by using the FTDI Basic Breakout 3.3/5V or USB Serial Light Adapter. NOTE: To program the controller please select "arduino Duemilanove w/ATMega 328"
Get Wirless Joystick V1.1 (SKU:DFR0182) from DFRobot Store or DFRobot Distributor.